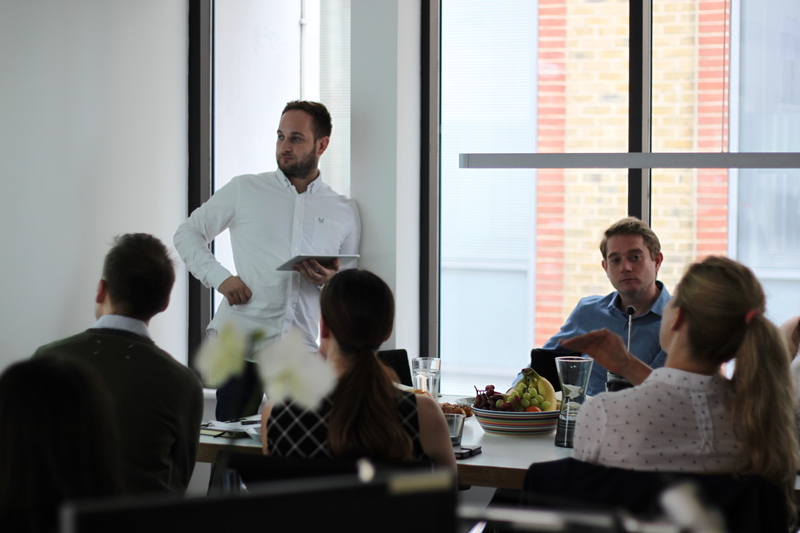 We had a great debate in this morning’s ‘Revuesday’, with Ben presenting a scheme at a key stage of design development which is a few weeks away from being submitted for planning. The proposal triggered a collaborative debate regarding the current design, which features a ‘pinched’ façade resulting in dramatic light and views from within. Our guests, including engineers, a planning consultant and an academic from the Bartlett, UCL, all contributed their thoughts and concerns about the scheme, creating a well-rounded discussion with their specialist knowledge within the industry. Broad concepts down to minute details were discussed and challenged, exposing the scheme’s strengths and weaknesses and offering new ideas for consideration as the project develops further. Thanks especially to all of our guests for their valued input.